Is there a relation between the albedo of a body and its brightness when it's a distant point or sprite? Like, for example, this black planet that brightens when seen in the distance (by the way, that planet has no texture at all). Is there a relation between the albedo of a body and its brightness when it's a distant point or sprite? Yes. However albedo != rendered brightness. Also, it looks like you have "real planet brightness" turned on, you should disable it as it's not realistic, and will solve the apparent issue you showed. Also, it looks like you have "real planet brightness" turned on, you should disable it as it's not realistic, and will solve the apparent issue you showed. Why is "real planet brightness" not realistic? Why is it called like that then? Why is it called like that then? Maybe because SpaceEngineer's native language is not English, or maybe because he needed a word short enough to fit in the GUI. A more accurate name would be "comparative planet brightness" or "relative planet brightness". It shows the relative illuminations of planets compared to each other, but this makes them exposed incorrectly relative to autoexposure. 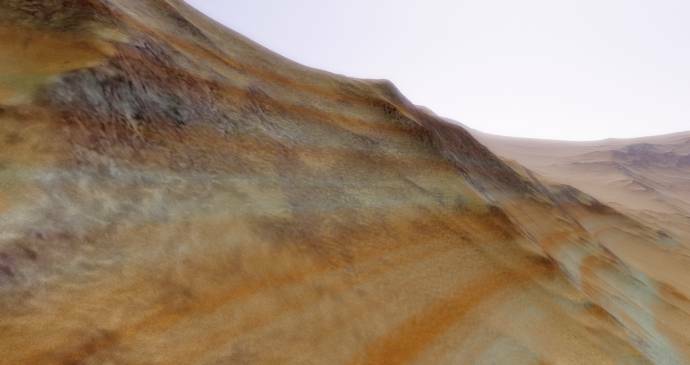 Really planets should not start to be rendered more darkly until you get very far from the star (this is currently rendered correctly, if you turn off real planet brightness). The future completion of a true autoexposure mode will render real planet brightness obsolete. Would you suggest we translators choose another name for it? Right now I think every localisation has its direct translation of "real". Would you suggest we translators choose another name for it? That should be SpaceEngineer's decision. IMO the translation should match whatever the English string is. If he decides to change the en string, then the translations should be changed. I still have an issue since a few versions. the atmosphere seems to be seen through landscape and mountains, and on certain planet at a low altitude, it creates weird artefacts. All this are knows bugs and existed since the first versions of SE. is everybody that has downloaded the rc1 is experiencing the star sprite issues? it looks fake. What do you mean by fake? What sprites are beind the planet? This is not abug, but the propierty of the engine. And not appear in RC1, but exiseted since the beginning. ... The feature (present in 0.973) that makes the engine autosave your location every 10 seconds or so (so that if the game crashes you can get back to where you were) seems to be gone in RC1. I too hope it can be restored this useful feature. SE never has this feature. Some updates after RC1. Major bugs a re fixed I hope. The last bugfix is important progress. SE has seans in terrain since the beginning, and now I fix it eventually! Yes! That means I don't have to use ReSynthesizer on GIMP before I published my future images. What about the ability to reload catalogs? This feature should be added because when I change the catalogs, I don't have to exit the simulator and restart it. SpaceEngineer, I think procedural Red Giants are not generating in RC1. Couldn' t find any besides the ones from the catalog. Anyone else having this issue? Have anyone notice something like this? It's not the first time I see a system where the 2nd planet is evaporating, but not the first one even if they are the same kind of planet with similar composition. Probably it has something to do with the fact that the second planet is hotter than the first one due to greenhouse effect (1483 K with 500 K due to greenhouse effect, against the 1206 K of the first planet). Awesome! Can a similar method fix the bug with cyclones on clouds? I'm having this issue too. Haven't found a procedural red giant since patch 7. It shows the relative illuminations of planets compared to each other, but this makes them exposed incorrectly relative to autoexposure. Really planets should not start to be rendered more darkly until you get very far from the star (this is currently rendered correctly, if you turn off real planet brightness). Does it also apply to real star brightness?